There doesn’t seem to be too much to know about paint jobs for cars. You think, “Oh, my car is shiny. That’s good!” In reality, the paint on your vehicle is constantly facing off against substances that can damage their sheen. Simple elements like the sun can dull the color of your luxury car and result in your vehicle looking cheap and uncared for. One factor people tend to forget about is paint swirl. Washing your car can result in the paint shifting around until you need swirl removal in Boston. Understanding the facts about paint swirl can help you prevent it from damaging your car’s paint. When you first bought your car from the dealership, the paint sparkled and shined like never before. In fact, chances are that your vehicle sparkled and shined like never again too. This is because paint swirl gets worse with time. If you’ve ever taken your car to a car wash, you’ve seen how the motion of the rags can move your paint in circular motions. The longer you wait for swirl removal in Boston, the worse the color will look. Another fact that affects paint swirl is the color of your vehicle. Lighter colored cars make it harder to see evidence of paint swirl. Your yellow Ferrari is less likely to show damage than your black Lamborghini, for instance. The darker the color, the easier it is to see the harm done to your paint. There are multiple ways to avoid contaminating your remarkable paint job. For one, you can use protective layers to prevent harmful components getting directly at your paint. Another way to prevent paint swirl is to bring your car to a prepared car wash. Use two buckets, or three buckets of fresh water, so you don’t keep rubbing the same dirty water across your car’s surface. Paint swirl is one of the easiest ways to ruin the look of your luxury car. While you can find swirl removal in Boston, it’s just as smart to protect your vehicle from the start. Invest in protective layers for your high-end vehicle. Contact Q Car Care at 781-691-9005 or visit them online. The ideas surrounding cars have come a long way since becoming a household luxury back in the 1900s. Most people no longer view cars as a luxury, but as a necessity. Still, it can’t be denied that cars are used for fun just as often as they are for function. You’ve probably hopped in your car and taken off just to relax on a drive. As we drive our cars, we run the risk of damaging them, and not only concerning crashing. Common elements can damage your car's paint. Here are some factors ceramic coating in Boston will protect against. One of the risk factors associated with driving, in general, is the unknown. You never know when your going to be riding down a road and have to swerve from debris in the street. From fallen branches to roadkill and litter, hitting these objects can damage your paint. Not to mention the dirt and grime that comes with driving on roads. A ceramic coating in Boston is the best move to protect your car’s paint job. Thank god for windshields. They’re the only thing protecting your face from getting slapped with bug carcasses as you drive. Imagine now how your car must feel. You don’t have to drive into bugs, but your car does. The speed at which you hit the creatures can chip away at your paint, and they can stick to your vehicle. A ceramic coating can prevent the damage bugs cause on cars. Because roads are made of hard substances like cement and concrete, or soft materials like dirt, rocks are bound to pop up. As you drive, your car kicks up stones and rocks that can chip paint. What’s even worse is the cars around you kicking up rocks. Those rocks have a chance to ricochet off your paint and leave chips. Any type of weather has the chance to damage your paint job. Heavy condensation like sleet and snow can do the damage, and so can the sun. Merely parking your car in a sunny place can result in washing out your paint. A ceramic coating in Boston is the only guaranteed way to protect your car’s paint. Everyday factors like road debris, bugs, rocks, and weather can worsen the beauty of your vehicle. Be one step ahead and get your ceramic coating as soon as possible. Contact Q Car Care at 781-691-9005 or visit them online. Protecting your car from factors that may damage its paint job is no joke. The smallest objects can cause damage to your paint job. Whether it’s dirt or dust accumulating or that bird’s nest sitting just above your driveway, your paint job is in danger. You can’t risk your high-end sports car losing its luster after only a few drives. To keep your vehicle at showroom standards, you have a few options. Here’s a breakdown of the differences between paint protection film and ceramic coating in Boston. Paint protection film is a clear wrap you can place on your car. Made of urethane material, paint protection film can apply to any painted surface. This option has a bit of versatility. You can apply the wrap only to the hood of your car, or all over. This has it’s advantages because the film is transparent and virtually invisible after application. Paint protection film can also be removed at the owner’s request. Whether you prefer Ceramic Pro or Q Complex Ceramics, a ceramic coating in Boston is always a good idea. A ceramic coating is made up of NanoCeramics. This means it goes on liquid and actually bonds to the paint to make it stronger while acting as a protective layer. While you can buy ceramic coatings online, it is challenging to apply correctly if you aren’t experienced. Because of this, ceramic coatings should always be applied by professionals. Boston has every kind of weather you can imagine. Although you may not be driving your new sports car in a New England winter, common factors like dirt and bird droppings pose a threat to your vehicle. Whether you prefer a paint protection film or ceramic coatings in Boston, Q Car Care is here to help. Contact them today or visit them online. Sports cars are flashy and expensive and tell the world you like luxuries. They look chic and intimidating driving down the freeway or parked in a driveway. But nothing stays beautiful forever. When you have an expensive car, you want to protect your investment and keep it looking nice for as long as possible. Here are five benefits of Ceramic Pro coatings for those considering a car coating in Boston. Adding a coat to your car makes the paint and the value of your vehicle last longer. Not only that, but the Ceramic Pro coatings offered by Quintessential Car Care lasts longer than the alternative. Essentially, a ceramic coating is a protective layer made of hard glass to prevent anything from sticking to your car. Because ceramic coatings stick to your car, your car will stay cleaner than it has before. Ceramic Pro coatings protect against scratches, chemicals, water, and dust that would normally take their toll on a paint job. Other variables like bird droppings become easier to clean as well. Since Ceramic Pro coatings can be applied to any part of your vehicle, the choice is yours. Ceramic Pro Coatings can be applied to glass, plastic, paint, wheels, and interiors. This means every inch of your vehicle can be protected from the elements. You have the choice of protecting part or all of your car depending on your budget. They aren’t kidding when they say Ceramic Pro coatings last longer than other paint protectors. Depending on the package you choose, Quintessential Car Care offers a lifetime guarantee that your car will look good as new. You can’t ask for much more from a car coating in Boston. Despite a lifetime guarantee on your coating, there is no lifetime guarantee that you’ll always love your car. Sometimes you want a change from what you’re used to, and that’s okay. If you ever decide to sell, the Ceramic Pro coating will ensure the value of your vehicle was maintained from the day you bought it to the day you sell. There aren’t many downsides when it comes to protecting your cars. It ensures that your care looks good and is protected from any outside forces that can hurt your paint. When looking for a car coating in Boston, look no further than Quintessential Car Care. Contact them today or visit them online! Anybody who drives a sports car knows the importance of protecting the paint from everyday elements. Something as simple as bird droppings can have disastrous effects on your paint job. Everything from direct sunlight to construction dirt can adversely impact the look of your car. Naturally, any driver would want a protective layer for their sports car. 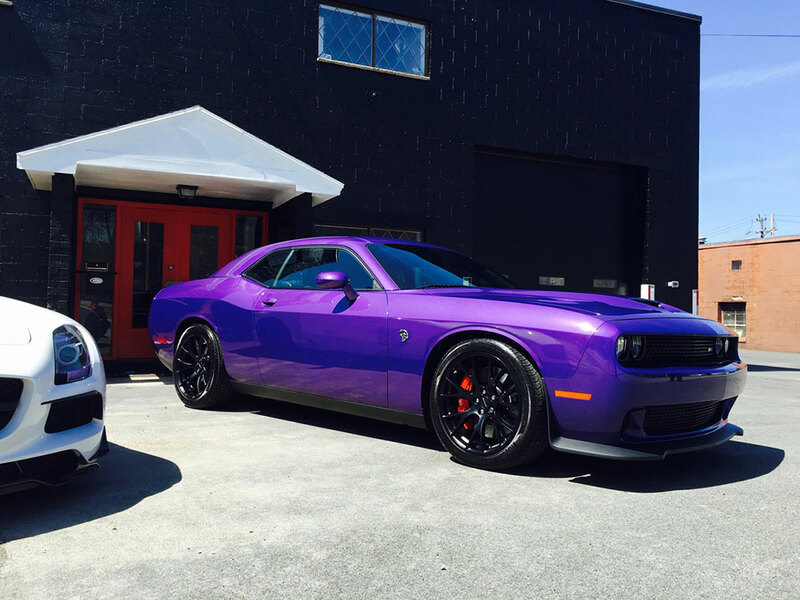 Q Car Care applies paint protection films and the best ceramic coating in Boston regularly. While some out there are handy in a garage, applying protective layers to your vehicle should be left to the professionals. Here’s why. No matter how many cars you’ve worked on in your past, if you aren’t in the profession, then you haven’t worked on enough. Paint protection films are a clear urethane material applied to the painted areas of your vehicle. It is intended to be invisible. When misapplied, the film may become visible with lines. While films can be removed, it’s smarter to get it done right the first time. The same goes for ceramic coatings. Ceramic coatings go on liquid and harden. If applied unevenly, you can see the amateur job. Q Car Care carries its own patented Q Complex ceramics as well as Ceramic Pro. Their skill is proven, and they will take great care of your sports car. Not every sports car comes at the same price. Regardless if you drive a $90,000 Porsche or a $300,000 Rolls-Royce, that’s a good chunk of change you spent. With stricter environmental policies to protect the world we live in, car paints have become softer in recent years. That means that paint can degrade with exposure and lower the value of the overall vehicle. Even if you apply a protective layer yourself, you have to buy the paint protection film or ceramic coatings. If you buy them and apply them yourself, you run the risk of making an error. In that case, you’d then have to pay the professionals to remove your sports car and then pay them to do the job right. The better alternative would be to let them handle it from the start. Now, at Q Car Care, paint protection films cost between $100 and $2200. This costs a minuscule portion of what you paid for your car but allows you a lifetime to enjoy it. As for the best ceramic coating in Boston, Q Car Care’s prices range from just under $1000 to just under $3000. Again, a small price for a lifetime with your sports car. Contact Q Car Care today or visit them online! Car washes are a summertime favorite for all ages. Kids love them because they get to play in the soaps and water. Teenagers love them because they’re an easy fundraiser. Then there are adults who love them because they get a clean car. There’s nothing as classic as a hand car wash. However, when your driving a high-end car like a Maserati or a Porsche, car washes are a nightmare. If your car doesn’t have a car coating in Boston, here are some dangers traditional car washes pose to your ride. Paint swirl is a series of tiny scratches on your car’s paint caused by the swirling motion of cloths at a car wash. Automated car washes cause the same problem with their scrubbers. Polyester threads and dirty cloth are detrimental to the paint job. Paint swirl are more noticeable on flat surfaces. Dark-colored cars are more likely to show paint swirl and so they should be protected with Ceramic Pro coating. Dirt hides everywhere. If you aren’t careful dirt in the car wash environment can stick and erode your paint. Because dirt can hide in the fibers of fabrics, rags and chamois can rub that dirt deeper into your paint. Since car paint has gotten softer over the years, it is easier for dirt to wear away the clearcoat of your car. This makes the finish look shotty. A car coating in Boston is the only choice to keep your sports car from damage caused by dirt. There are two reliable types of car coating in Boston. There are paint protective films that can be wrapped around all or part of your car. This acts as a sacrificial layer for the dirt to deflect off of. Your other option is NanoCeramic coatings. Q Car Care’s Q Complex Ceramic is a patented formula to protect your sports car from scratches and other harmful elements. They also carry Ceramic Pro for brand loyal customers. Not many people realize how harmful a traditional car wash can be to their paint job. So, if you drive a high-end sports car, beware! For more information on car coating in Boston, contact Q Car Care today or visit them online. "Which cars need paint protection," is a loaded question. Technically speaking, no car needs paint protection to run properly. However, there are so many beautiful cars out there that cost a lot of money. Anybody who loves cars know that they’re an investment. Sports cars like Porsches and Ferraris aren’t cars you drive around like Hondas. They’re for show and tell purposes. If you wouldn’t drive a sports car like a regular car, why would you expose it to the same elements like dirt and scratches? You should consider ceramic coatings or paint protection film in Boston if you drive any of the following makes. Between 1948 and 1957, Porsche made moves to create the sports car. They’re still in production today due to the popularity of their invention. Porsches range in price from $45,000 to about $100,000. That is a lot of money to spend on a car. You didn’t buy it just to let it go to waste. Going the extra mile to apply a paint protection film is Boston ensures that your investment will maintain value for longer. Plus, you’ll look good driving down the freeway. Ferrari is an Italian car brand. Foreign cars are always more expensive than domestic. Part of this is related to the economy and part of it is associated with the quality. Ferraris have been around since the 1930s. Since their inception, Ferrari has been successful in building race cars and high-end sports cars alike. Because their reputation precedes them, Ferrari’s cost well over $100,000. You spend that kind of money on a vehicle without protecting it as best you can. Ceramic coatings and paint protection films can help with that. The cars we know as Rolls-Royces wouldn’t exist without engineering. Starting off as an engineering company in the 1800s, they have manufactured plains and engines throughout their history. Today, a brand new 2017 Rolls-Royce sports car will set you back about $300,000. For dedicated car guys, that’s a worthwhile buy. Of course, it won’t be if you don’t protect the paint job. Started in Bologna, Italy in 1914, the Maserati brothers began their car business. Over 100 years later and Maseratis are one of the most luxurious cars a person can drive. Maseratis remain at the forefront of the sports car industry and continues to create beautiful vehicles. That beauty won’t last if it isn’t protected though. Don’t let your Maserati’s paint suffer. Go that small step more to keep your sports car at showroom quality from the moment you ride it off the dealership. So while no car requires a paint protection film in Boston, some vehicles will only benefit from it. Any large sum of money should be protected and secure. The same should be said for the cars that money bought. If you don’t protect the paint of a Rolls-Royce, you’d be surprised that $300,000 looks like $20,000. For ceramic coatings or paint protection film in Boston, go to Q Car Care. Contact them today or visit them online! Have you considered having your car detailed, but are unsure about the price tag? Take a look at why car detailing is worth the price and the time. How much are you paying for detailing? With car detailing, you’ll get what you pay for. This means that if you look for a bargain, you’ll be trusting your car to someone less professional who won’t do a good job or could even damage your vehicle. Why would you spend money on a service you could easily do for yourself in your driveway? However, a higher quality service will provide plenty of value for the price. If you’ve got a large garage, lots of time, and the skill to detail your car on your own, then paying for the service might not be worth it. However, chances are you’re busy or live in an area that doesn’t let you work on your car for long periods of time. In this case, you shouldn’t let your car continue to get dirty and messy while you wait for the time or space. It’s easier for you to try a detailing service. Are you using your car? Some people only want to detail the cars that sit in their garage for years as a display piece, and other people want their daily vehicle to look great. If you want your car for everyday use to be detailed, then it’s worth hiring a professional. Good detailing includes protection from small scratches that can occur on the road. Is the cost to DIY worth it? If you have the time, space, and skill to do detailing yourself, you still need to consider the cost. Do you want to buy all the tools you need for proper detailing? You’ll have to keep a supply of detailing clay, brushes, polishes, and wax, just to start. These costs can add up quickly, whereas a detailing service is a one-time fee. Car detailing services are definitely worthwhile for most people. If you’re not sure if it’s right for you, or you want to schedule your detailing, contact us at Quintessential Car Care today! When you live in New England, you know how harsh winters can be on your vehicle. When the roads get icy, cities will cover them with salt and sand. Then, when you drive, the salt and sand are stuck to your car. Without proper care during the winter, the salt can stick around until May or June. Do you want to risk oxidizing your undercarriage and letting your car get damaged? At Q Car Care, we have the answers for you. Wash your car every two weeks. The best way to keep your car clean is to make sure it’s washed every two weeks, or more often. This prevents multiple layers of the salt from building up. After all, a single round through a touch-free carwash won’t get rid of a thick crust of salt, so why would you let it build up in the first place? Some people avoid washing their car during cold weather because of the cold itself. After all, most car washes don’t completely dry the car, so doesn’t the leftover moisture freeze? The answer is no—your car is warm enough that freezing won’t occur, or won’t have any impact on how the vehicle runs. Make sure you wash the undercarriage. A car wash isn’t just to make your vehicle shine like new. You want to make sure the dirt and salt are actually washed away—so be sure the undercarriage is cleaned. This can be tricky at touch-free carwashes. The top option will offer so many buzzwords like “triple foam action” that don’t mean anything, while the cheapest option won’t have that important undercarriage wash. Choose carefully. If you want to be confident your car is getting the care it needs during the winter, make sure it’s hand washed. This ensures that the underside is given attention and salt isn’t left behind. There’s also a simple fact that many touch-free carwashes are closed in New England winters because there’s a risk of freezing water lines. If a water pipe bursts in an automatic car wash and your vehicle happens to enter, there’s a serious risk of thousands of dollars of damage to your car. Throughout the winter, you want to try to ensure your car is washed every two weeks. For maximum effect, time your washes for the third day after a snowstorm, when there isn’t much salt on the road—so your car won’t be ruined as soon as you drive away from a wash. Make sure you head to a place that will wash your car by hand, like Q Car Care. Contact us today to learn what we can do for you, and get your first wash scheduled today. You know that there’s a difference between merely washing your car and getting it detailed. However, do you know what exactly is included in detailing? What does the price tag get you? Check out our guide to services covered in auto detailing. Paint restoration. The most important part of detailing a car is making sure the paint is as good as new. This includes washing the car and then using clay to get excess soap scum or water marks off of the paint. Any small scratches are buffed out, and then the paint is polished. These steps leave your car as shiny as new. Top to bottom cleaning. Every square inch of the vehicle is cleaned thoroughly. This is far more than a simple car wash will be able to provide—a car wash rinses only the exterior of the car. Auto detailing can include the wheel wells of your vehicle, which will get rid of buildup from salt and grit on the roads. Some detailing packages even include cleaning the engine bay and sealing any rubber or plastic components. Adjusting your engine will no longer automatically result in oil stains everywhere. Polished finish. Besides the car’s paint, all metal and glass surfaces will be polished. Windows will be polished on the exterior and interior, so there’s no chance of dirty glass leading to an accident. Sealed headlights. Over time, lights can become oxidized. This causes them to lose their efficacy. Sealing the headlights prevents this from occurring, so you’ll be able to drive in any weather with ease. Clean interiors. The interior of the vehicle is just as important as the exterior in detailing. This means the car’s upholstery is washed, shampooed, and vacuumed, and all plastic or metal parts in the interior are given detail-oriented care. Contact Q Car Care today to learn what we can do for detailing your vehicle. Your car will look brand new—don’t hesitate to call! Your car is essential for your daily life, and you should take pride in it. However, driving in New England can mean salt, dirt, and debris are building up on your car—and scratching the paint. How can you protect the paint so that your car looks good as new? Before the cold season hits, make sure to wax the car. This protects your paint from the salt and sand on every road during a storm. While the grit on the road is absolutely necessary for your car to stay on the pavement and not spin out, it can cause minute paint scratches that will grow and could ruin your car. Wax creates a layer between the dirt and your vehicle to protect the paint. You can also use paint sealant to make sure your car’s paint is protected. Sealant is made of synthetic materials but otherwise acts a lot like wax. The benefit of sealant is that it generally lasts longer than wax, so it’s a good option for year-round protection. Take scratches seriously when they do occur. Minor scratches on the paint can be repaired, but if ignored, it can become even more serious damage. Scratches open up areas for rust to get to the metal of your car. This weakens its structural integrity and can make your vehicle far less safe to drive. You can also protect your car’s paint by taking steps to ensure that it’s professionally sealed from the elements. Bring your car to a detailing service such as Q Car Care to ensure that every inch of paint is protected. Detailing also means your car will look just as nice inside—like it’s brand new again. Take the time to care for your vehicle and treat it to detailing today. We’re here to help. When it’s time to get your car washed, where do you go? Most people head to an automatic car wash, to enjoy the convenience and speed of a quick ride through the wash. However, automated car washes are not the best choice for actually cleaning a vehicle. Take a look at why you should consider getting your car washed by hand instead. Automatic car washes can actually damage your vehicle. The brushes rely on sensors to know where your car is, and sometimes, these sensors can malfunction. If the brushes come too close to the ca, they can scratch the vehicle, creating serious damage. Any bent or damaged equipment within the car wash can also harm the vehicle by scraping the underside or side of the car. There’s also the risk of leaving a window down by accident—an automatic wash can’t tell if this is the case and will flood the car’s interior with gallons of water. Hand washing a car also provides a chance or the vehicle to be inspected. When a person is looking over your car’s exterior as it’s being washed, they can note minute scratches or dents that you may not have noticed otherwise. This gives you a chance to find and fix small problems before they could become large problems. At Q Car Care, we can take care of those minor scratches as soon as they’re found, saving you time and worry. Hand washing a vehicle simply produces better results than an automatic car wash. Relying on sensors and automatic brushes means the small curves of the car will be overlooked. Dirt and salt can stay there for a long time, eventually causing further damage. If an area of dirt needs extra care, an automatic wash won’t be able to do anything about it. Hand washing means that all parts of the car are given attention, and the whole vehicle will be clean as new. At Q Car Care, we’re constantly working with new clients who are looking for the best ways to protect their vehicles and one of our first suggestions for anyone living in the greater Boston, MA area is always XPEL. If you’ve been considering a clear bra installation and are wondering if XPEL is worth it, we can think of three reasons it is. Q didn’t become one of the best detail shops in the greater Boston area by sticking to the traditional methods of car care. After we started our journey in this industry, our team realized how many resources we were using to hand wash your vehicles, one of the largest being water.